Several of today’s papers have worked themselves into a frothy tizz over quotes made by Lyon keeper Hugo Lloris, in which the current France No.1 admits that Manchester United (who, as you are probably aware, will be without a first-choice stopper as of June this year) are one of the few clubs that ‘make him dream’. “Manchester United is a great football club. They are one of the most successful clubs in the world, so, of course, Manchester United is one of the clubs that make me dream. “Moreover, it is unfortunate to lose a keeper like Van der Sar, because even at 40, he is still able to do exceptional things. I also think he could keep playing. Could be something in this, though of course there could be absolutely nothing. That said, Lloris’ timing is rather intriguing, no? eeeyyy everyone look ere…. another glory hunting idiot! Either Lloris or Reina. They are both top-class keepers and thats what United needs. Instead of looking at De Gea and other mediocrities, they should use most of the money available to get a young, world-class keeper immediately. They don’t want to make the same mistakes made after Schmeichel. Lloris isn’t a Premier League goal keeper. Will be Barthez all over again. Reina is definitely a better replacement for Vd Sar. Even Shay Given would be a better alternative. Shay is one of the best goalies the Premier League has ever seen. It’s absolutely criminal that he is not playing regular football. What about Neur? Or what about Stecklenberg? What about Ben Foster, isn’t he still on the roster? He was supposed to be who took over, right? For me, I’m quite excited at the idea of Reina, premier league XP, champions league/world cup winner, young enough to develop. If he wants to (i.e. is brave enough to) swap Anfield for OT, then it could be a great move. neuer, Stekelenberg and Lloris would all be good shouts. I’d love to see Given at Utd but can’t see it happening tbh. 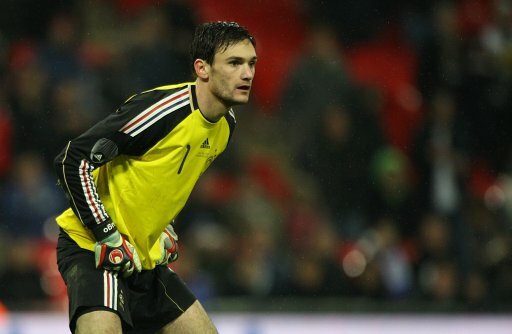 Maybe a case for Craig Gordon too, but I think the step up to United no. 1 would be too great. And @nick, Ben Foster was sold to Birmingham City. United back up GK’s are Kuszczak, Lindegaard and Amos.